This product no longer works. This product takes care of the problem of pests. This product solves many problems for the cats I can apply it to. 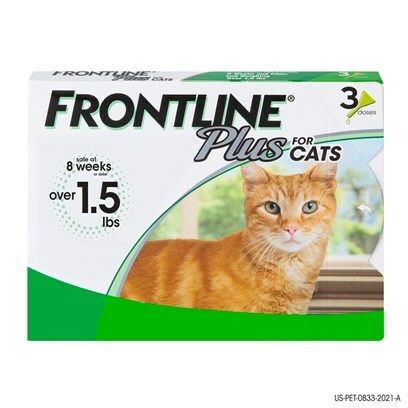 Love Frontline Plus for Cats! Recommended, but with the use of other products! It's not doing the job! One indoor / One outdoor cat. Frontline Plus ... Two Thumbs Up! Glad I found this business!